BEFORE TUESDAY’S BUDGET announcement, there was much speculation about what the government would be doing to help first-time buyers. It soon became clear, thanks to the numerous leaks, that a scheme for first-time buyers was on the way. And arrive it did. Finance Minister Michael Noonan officially announced a plan that will provide a rebate of income tax paid over the four previous tax years up to a maximum of 5% of the purchase price of a new house valued up to €400,000. In the case of new homes valued between €400,000 and €600,000, the maximum relief – €20,000 – will continue to be available. In his Budget speech, Noonan said that the new scheme “will increase the demand for newly-built houses by assisting first-time buyers to put a deposit together”. The announcement does seem to have sparked some moves from interested first-time buyers – Tuesday saw a spike in people visiting Daft.ie to search for new homes. 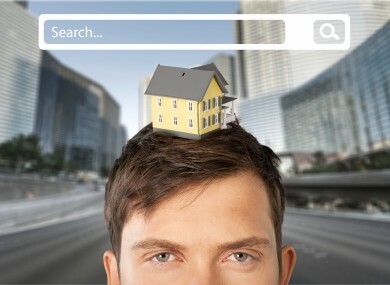 The property website – which has 2.21 million unique users each month – recorded an increase of 130% in searches for new homes when compared with the average daily searches for new homes in 2016. The searches don’t indicate if it was first-time buyers out to see what’s on the market, but does show that people were checking out new builds. The spike in searches on Tuesday was quite large and certainly points to an increased interest in new homes on the back of the announcement by the Government. However, the new scheme was criticised after the Budget announcement. Claire Solon, president of the Society of Chartered Surveyors Ireland, told Fora.ie that the government should have focused on measures to increase the supply of housing instead. Housing Minister Simon Coveney said in defence of the scheme that there was some “lazy commentary” from some who were only seeing the initiative “in isolation”. The move was welcomed by the Construction Industry Federation, which said that the scheme will help to address “the chronic lack of supply in new builds”. Speaking to TheJournal.ie yesterday, Dr John McCartney, Director of Research at Savills, said the scheme is better for developers than buyers. There are not enough housing units to go around. First-time buyers are competing with each other. If you give them each €20,000 on the same day the likelihood is that they’re going to react by each bidding more until the €20,000 is exhausted and ultimately the price will go up and up. Journal Media Ltd has shareholders in common with Distilled Media Group. Email “Online searches for new homes surge after Budget announcement”. Feedback on “Online searches for new homes surge after Budget announcement”.